Laser consists of the first letters of “Light Amplification by Stimulated Emission of Radiation”. Lasers only diffuse soft energy. Lasers have been used in medical and cosmetic sectors for more than 30 years. The benefits of Laser technologies are improving continuously. Several diseases arise because of the lack of ATPs which are the source of life for cells. ATP is a key element for our cells. ATP provides the necessary energy for Mitochondria that are being in process through the glucose burning process. Lack of ATP may cause damage in the cells, but powerful Tinnitus Pen Soft Laser light (650mm wave length) imitates the glucose burning process. 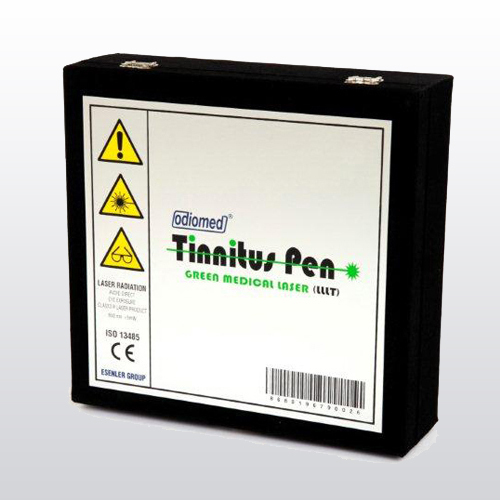 Therefore, Tinnitus Pen Soft Laser may help the damaged cells to renew themselves. While practicing area method, there is no contact between the skin and the probe of the laser. Ideally, the distance in between should be half an inch. Most importantly, if there is an open wound this method should be applied. The skin contacts the tip of the laser. If there is no open wound on the application area this method can be applied easily. This method is more effective and efficient. Please do not forget to decontaminate the tip of the laser if the patient has any contagious disease. Laser beam leads to a bio-simulation just like the acupuncture needles. Compared to acupuncture needles, Tinnitus Pen Soft Laser can be considered as totally painless and risk-free of contagious disease diffusion way of acupuncture needles. Application area should be washed and cleaned by an alcohol-free soap. This process would help removing bacterial formations that may be formed on the skin and thus help the laser beam to difuse deeper into layers of the skin. Skin should be dried carefully before application. Please always use the laser-repellent goggles provided in the accessories bag. Avoid the direct contact of laser beams with your eyes. Using any humidifying cream after applying the laser is recommended. - Surely use Alkali batteries. - Be sure that the batteries are full before the application. - Avoid contact with your eyes. - Be sure that your device is turned-off when out of use. It should be applied to the side of the ringing ear for 20 minutes. If both ears are ringing, it should be applied 20 minutes for each side. B. just before the ear entrance through the ear canal. 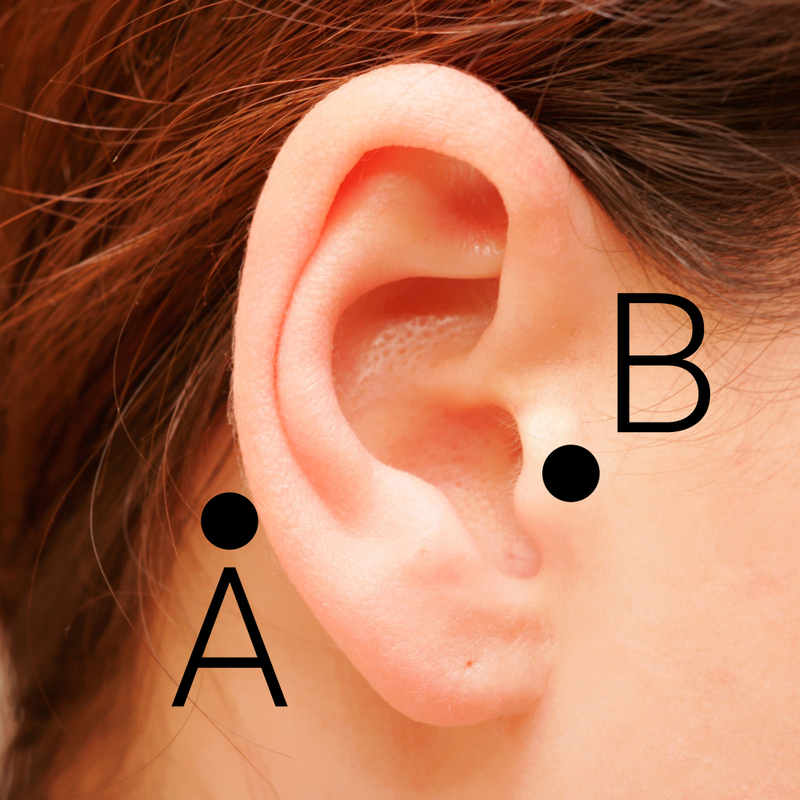 Apply it for 10 minutes to A and B points. It should be applied once a day for 90 days. For long term chronic tinnitus it can be applied twice a day. Once in the morning and once in the evening. People having insomnia (sleeping problems) should not perform treatment on evenings. 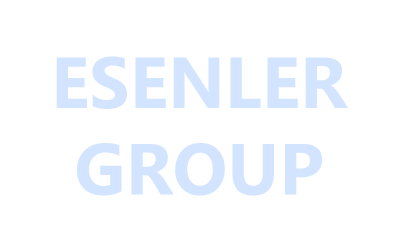 Application should be done on the same time every day. - Make sure your ears are clean before application. - Lie on a comfortable place. - Make sure that there is no noise around. If you don’t have the chance to move to a quite place, continue applying the laser trying not to be disturbed by the noise around. - Try to be calmer and avoid stress. - Sleep enough and long at nights. - Avoid noise in your daily life. The device should be used with 2 Alkaline Batteries as shown in the figure. Please remember to use the glasses that comes out of the box and attach the black probe to the top of the laser pointer for a safe tenancy. 1. 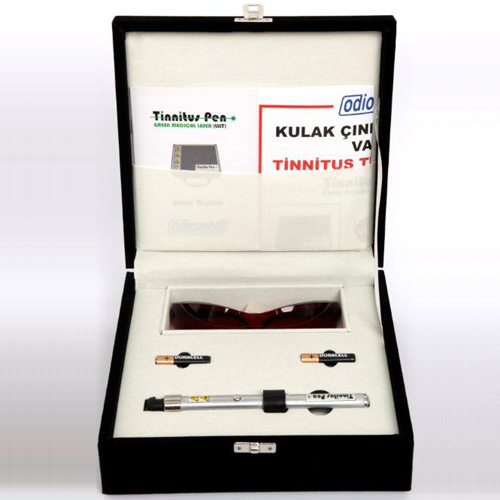 What is the working principle of the Pen Tinnitus? Tinnitus special laser light on the Pan SA de Cochlea Basin region (snails in the ear) by stimulating the nerve endings located on the cells and helps the regeneration of hair cells damaged. 3. Laser brain gives you any harm? The dose of light used and the frequency of the tinnitus PEN is certainly produced in the way that will not harm human health.